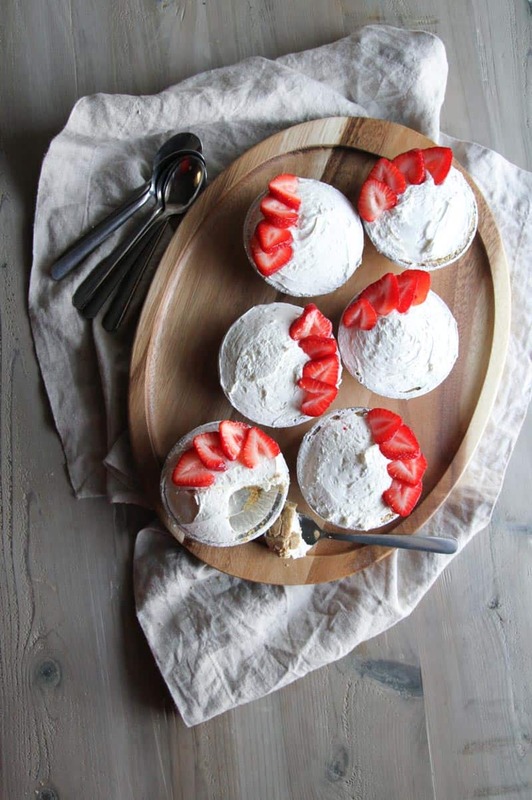 When you’re looking for a quick summery dessert and don’t feel like using your oven, look no further than these 5-ingredient strawberries and cream tartlets. 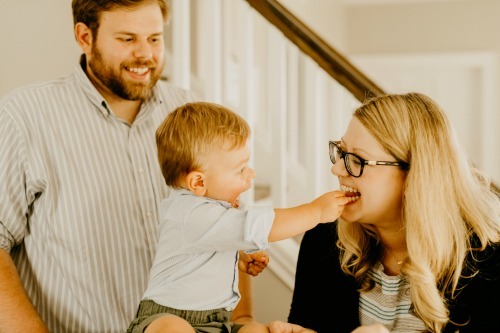 They’re adorable and conjure up memories of childhood and summertime. Just imagine coming inside after a day of being out in the hot sun and enjoying one of these cold mini desserts. 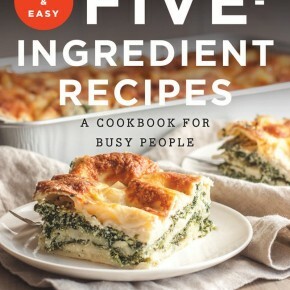 AND they’re a recipe from my upcoming cookbook, Fast & Easy Five Ingredient Recipes: A Cookbook for Busy People. These strawberry tartlets are creamy, fruity and totally crave worthy, and are absolutely perfect for strawberry season, 4th of July, they’re also this week’s Five Ingredient Friday recipe. 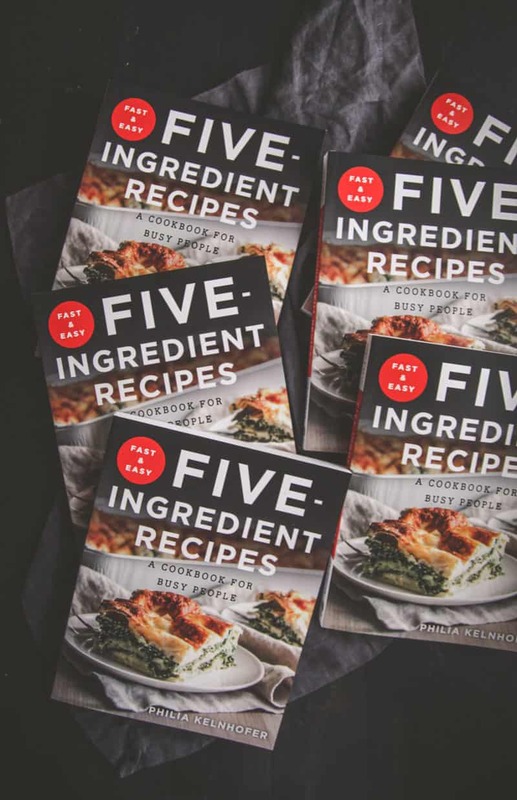 As promised when I shared the cookbook pre-order bonus, each Five-Ingredient Friday leading up to the cookbook launch I would be sharing something cookbook related. These 5-ingredient strawberries and cream tartlets are a recipe from the cookbook, and an absolute summer staple. They’re amazing, super easy to put together and are great for a no-bake dessert. I’ve always loved strawberries desserts – remember when I told you in this 5-ingredient pear crumble post how, as a baby, I wouldn’t eat apples, but I did like other fruits? Well, strawberries are one of the other fruits I was totally in love with. Since I was little I loved strawberry and cream desserts, and even my wedding cake was strawberry and cream! Needless to say, I’m super excited to be sharing this recipe with you today. 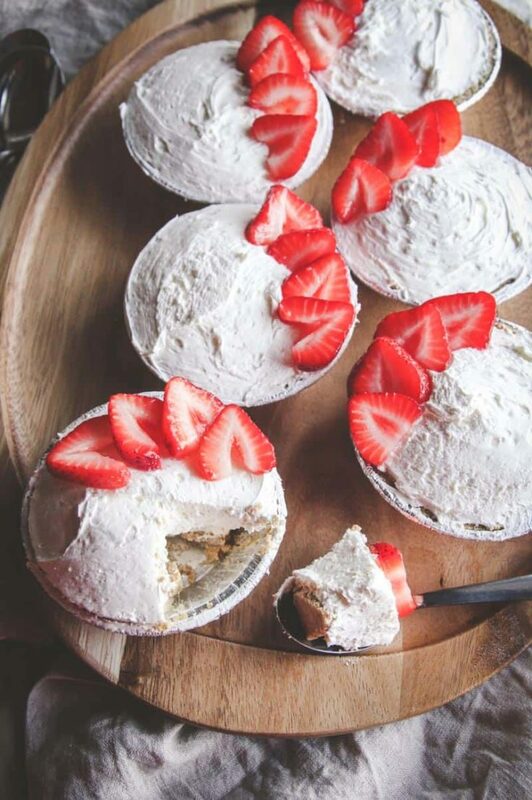 Also, these are a great recipe to make because it’s strawberry season! 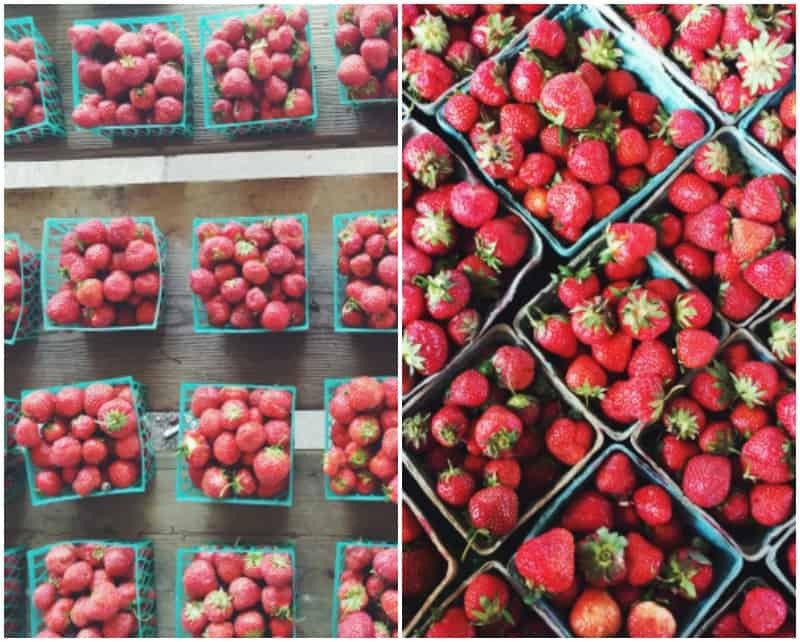 A few weeks ago I went to the farmers market and the strawberries were kind of spaced out (photo above left), then this past weekend I went and they were just in total abundance, strawberries everywhere (top right photo), so amazing! I also have to share that this week has been an absolutely incredible one. 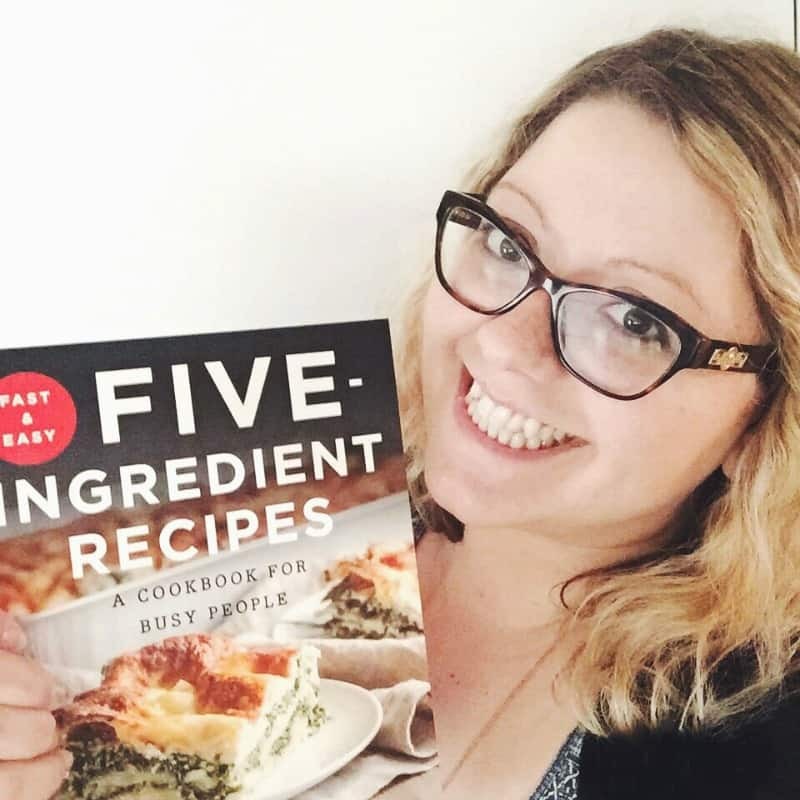 I got to hold my cookbook in my hands for the very first time – it was surreal. I found out that Costco picked up my cookbook!!! And I found out that the cookbook in its second printing and it hasn’t even come out yet!! I am in speechless and so grateful!! 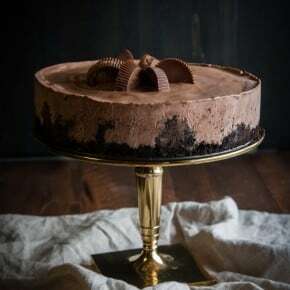 Advance copies were sent out to media and bloggers, and Gina of the truly amazing blog SkinnyTaste blew me away with her beautiful post of 5-ingredient chocolate cheesecake cups (another recipe from the cookbook), I’m absolutely honored and speechless. 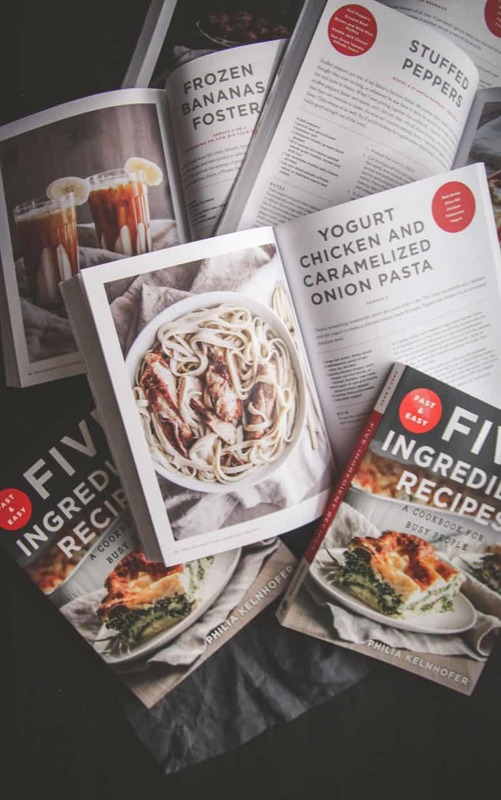 Don’t forget about the pre-order bonus happening now-July 18th those bonus recipes alone are worth the price of the cookbook. 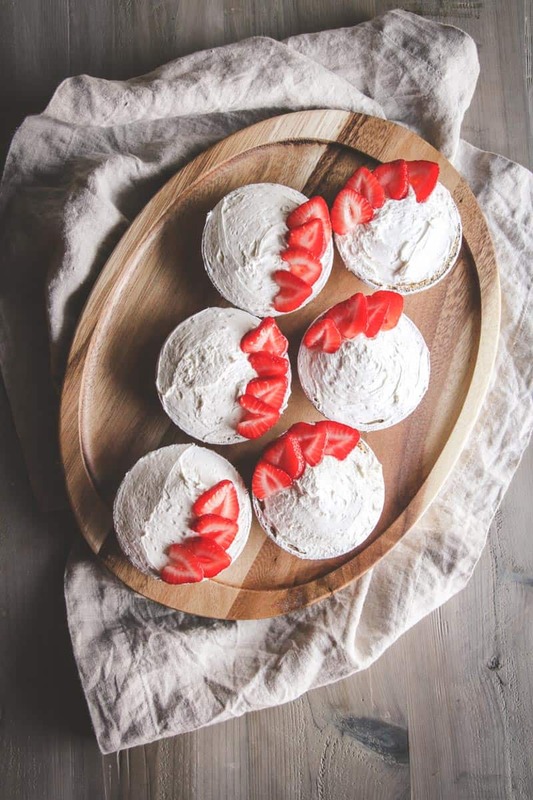 These little strawberries and cream are definitely perfect for the July 4th weekend, what are your plans for the long weekend? Set mini piecrusts on a plate or baking sheet. Place the sliced strawberries in a bowl and sprinkle with 1 teaspoon of the sugar, stir once or twice until the strawberries are coated, and then set aside. In a large bowl, with a hand (or stand) mixer, beat the cream cheese and remaining 1/3 cup of sugar until smooth and creamy, then add the cool whipped topping and beat until combined. The mixture will be thick. To get the cream cheese and cool whipped topping to room temperature, I simply put them out on the counter 30 minutes to an hour before making this recipe. What delicious little tarts! They are so perfect for this weekend and any picnic outing. I love it! And oh my gosh, what good news about Costco! Your book looks amazing, I will definitely need to preorder a copy! Thank you so so SO much, really appreciate your kind words! And the frozen bananas fosters, omg so good!!! I’m so happy to have this AMAZING cookbook in my hands, Phi!! I’m going to cook everything. Congrats on the second printing and the Costco pick up! Congrats on the book Phi.These strawberry cream tartlets look so cute!